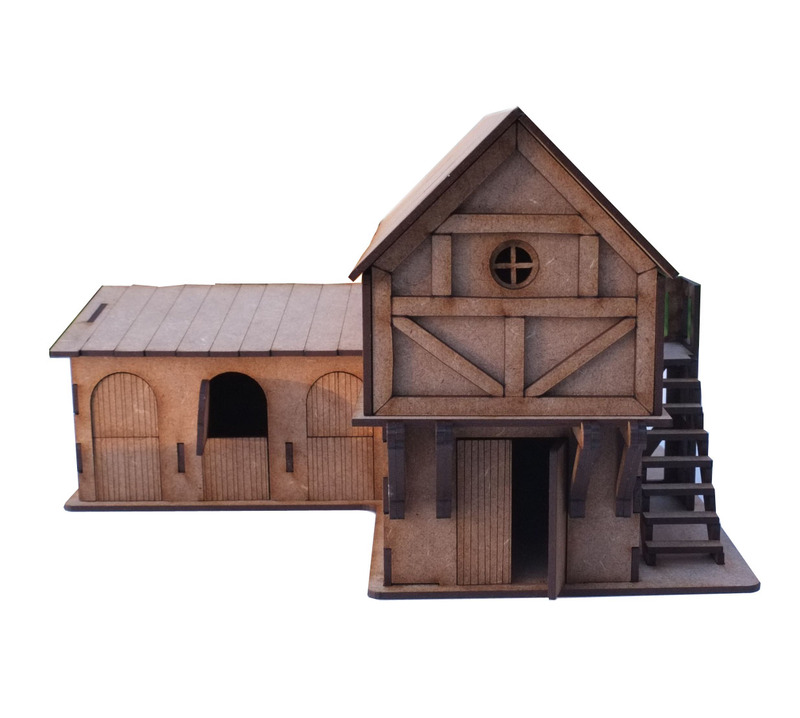 Our new stable block is designed to complement our fantasy village inn. The block consists of a three hopuse stable with double doors and removable roof. 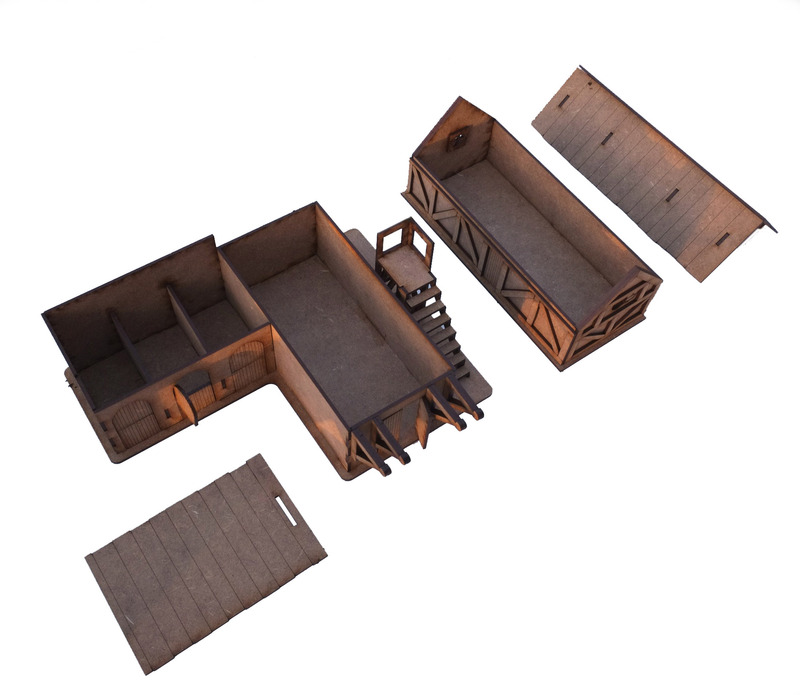 There is a large barn with an upper floor for accomodation. The upper floor is removable as is the roof of the upper floor. The upper floor is accessed by a set of steps. Details include engrave wooden doors, exposed brickwork and timber frame cladding. The size of the kit is 180mm x 210mm x 130mm high. This kit requires assembly and painting.